Fritzi Marie: Meet Me... In Montauk. I spent some time in the dentist's chair this afternoon. While relaxing and inhaling bubble gum scented gas, all I could think about was one of my favorite movies, Eternal Sunshine of the Spotless Mind. So, we are watching it tonight. Bono Baby picked the winner of our end of the year Giant Dwarf giveaway. The winner is Gabby of Gabby, She Wrote. Happy Christmas Week Dear Friends. We adore each and every one of you. p.s. Do you have any favorite holiday movies that you think we should watch this week? Oh, but my favorite holiday movies are White Christmas, which we watch every Christmas Eve and Elf. Love them both. Also Scrooged. And while Im at it Youve Got Mail. Its not typically a Christmas movie, but it does have holiday stuff in it? White Christmas, Holiday Inn, Love Actually, The Holiday, Elf, Charlie Brown Christmas, Meet Me in St. Louis, and New In Town because there is snow the entire movie. Brrrrr. Oh, I love that movie!! Love Kate Winslet and Jim Carrey! !One of my favorite Holiday movies is The Polar Express, Oh, and The Family Stone! Hope you had a magical day even though you had to inhale bubble gum gas!! That movie is amazing, I need to rewatch it soon. My favorite Christmas movie is Christmas Vacation.. hilarious! 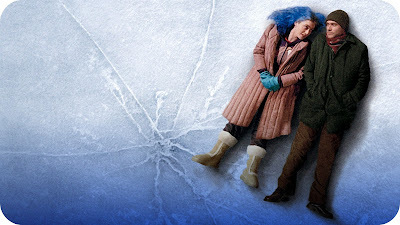 i watched eternal sunshine and i didn't like it so much when it first came out :( i feel like i need to give it another chance sometime very soon! it's a wonderful life, the family stone, just friends, and the santa clause are some of my favorite holiday related movies! i do not envy you your trip to the dentist. but bubble gum scented gas - i might have to ask for that next time. my favorite movies are christmas in connecticut, the holiday, a christmas story, and love actually. btw, congrats to gabby! and happy happy movie watching! Love, love, love that movie! I can't watch it without weeping.